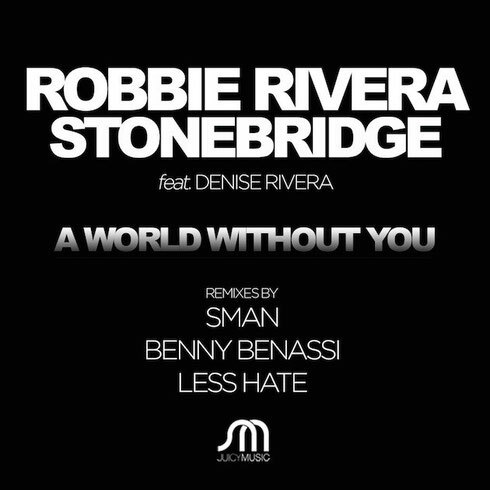 DJ/producers Robbie Rivera and StoneBridge have teamed up to deliver their new single, ‘A World Without You’, on Juicy Music. Featuring Denise Rivera on vocals, the track is a big house track that’s worth checking out. The track also comes with remixes from Benny Benassi, S-Man and Less Hate. It’s out on 2 November and has already had early support from Kaskade, Paul Oakenfold, Deniz Koyu, Gregori Klosman, Thomas Gold, Vice, Federico Scavo, Marco Carola, and more.